Will this work with a rgb kit? I have a rgb system in my pc and it has 5v plugs. Will this be able to control the rgbs for the ssd? They have the same color patterns and everything. My only problem is I was tired and ordered it thinking it would go great in my full rgb system not realizing it said it was controlled normally by mobo. But if i can't use the rgb's with my rgb it's fine i am upgrading my pc in the near future. I will just have to use it as a ssd without rgb till i get a mobo with rgb controls i just dont wanna wait i want it to light up with my rgb fans, liquid cooler, ram, gpu, and rgb kit when the pc turns on, caution my pc may cause seizures. I just thought one more touch of rgb couldn't hurt hahaha. As long as your motherboard has that 5V header and supports one of these then you should be all set. 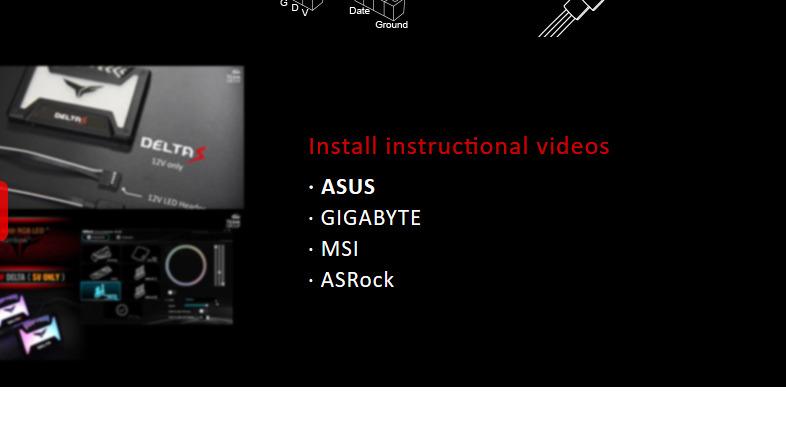 There's also instruction videos as well. No the mobo in itself has no rgb header i just have a rgb kit with 5v header. But i was woundering if that would work if not i really don't care it was just a cool looking ssd that my brother said he would pay for and the rgb was a plus. 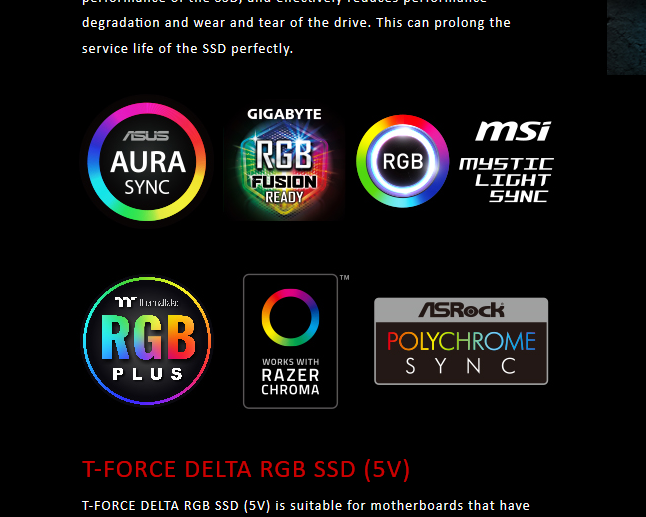 Not sure if it'll work without a RGB header, ask T-Force. 5v is 5v. In that, it'll work. Question is whether the connectors line up. RGB is new enough tech that there's still plenty of proprietary connections out there while nothing is yet really standardized, although it's getting there. Team T-Force Dark vs Team T-Force Delta ? Two 8gb Team Group Delta RGB RAMs anyone bought separately for dual channel?